Believe it or not, there is a major Octagon event taking place this Saturday in Brazil. Although UFC 142 isn’t garnering much hoopla, it hasn’t stopped the Gambling Gods from releasing the complete list of investment options for the show. 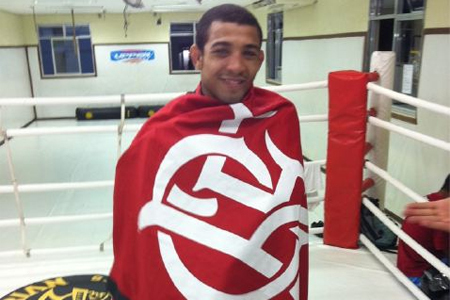 Jose Aldo (Pictured) is a -240 odds-on favorite to retain his featherweight crown against Chad Mendes in the night’s featured attraction. “Money,” on the other hand, checks in as nearly a 2-to-1 underdog in his first championship affair. The card’s co-main event between Anthony Johnson and Vitor Belfort offers a much closer line. As a matter of fact, “Rumble” and “The Phenom” are dead even heading into their middleweight shootout. Both 185-pounders are pegged at -115. Rio de Janeiro’s HSBC Arena will host this weekend’s fiesta.